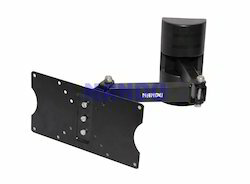 Our range of products include T.V.& Lcd Stand such as Fixed Universal Lcd Bracket, Wall Mount T.V. Stand, LCD Wall Mount Bracket Single Arm and L.C.D Wall Mount Bracket Double Arm. We are reckoned as major entity actively engaged in developing widely demanded L.C.D Wall Mount Bracket Double Arm. The offered wall mount bracket is highly utilized as it universally fits to all sizes of LCD TVs. Made from robust quality raw materials under strict quality supervision the offered double arm bracket can be ordered from us at a market leading price.